It seems no classic or cult classic is safe these days and I guess it was just a matter of time before Evil Dead got the remake treatment. 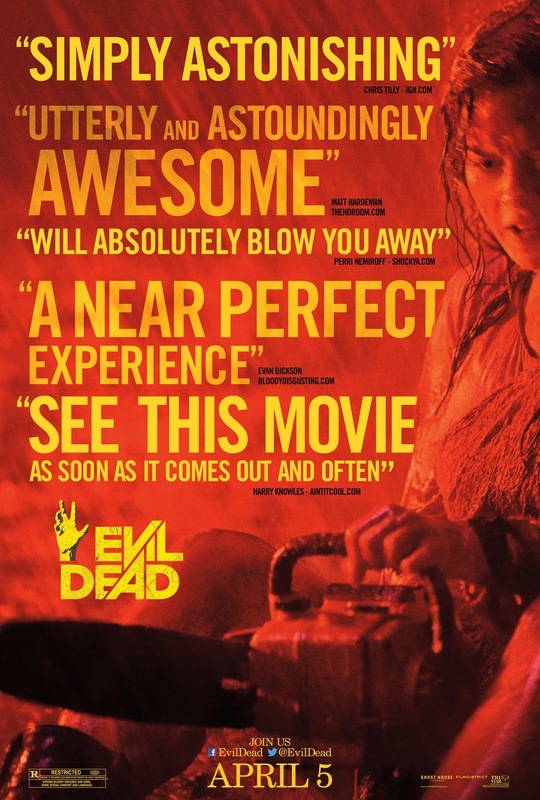 The new version of the Evil Dead also takes elements from Evil Dead II and this one has a much more serious tone. The original has some comedic moments some were intentional and some wasn’t and of course the sequels played more up to camp, but this one is for the most part played straight and actually its one of those remakes that if you wanted to can be linked in with Sam Raimi’s truly great trilogy. For me the worst crime for a remake is a shot for shot remake; to me it’s like what’s the point? But another crime is a remake by name only. 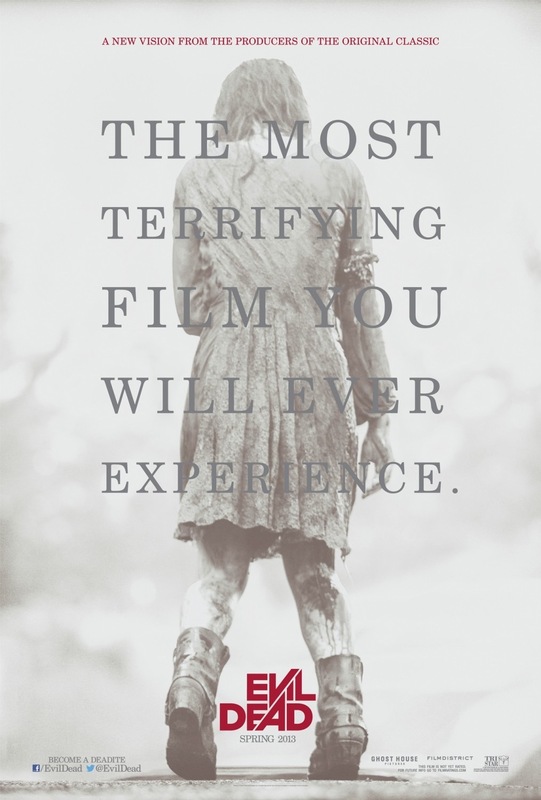 The 2013 Evil Dead as stated takes elements from the first two, but also has enough strength to be its own film rather than a poor rehash. However with that said at the end of the day Evil Dead is heavily flawed and its a film I really wanted to like, but just left me feeling a little cold. A bunch of friends arrange a getaway at a remote cabin deep in the woods to help Mia (Levy) kick her drug addiction. While there they come across the book of the dead and when one of the friends reads it he ends up summoning a demon and it soon begins to posses them. The screenplay by Fede Alvarez & Rodo Sayagues has all the right ideas, but never fully works despite the potential. Part of the problem is I felt like I’ve seen this before and not because its a remake. This version of the Evil Dead has a couple of things in common with the first two as I stated, but the plot does differ, but it just feels like a bunch of other films mixed in with the Evil Dead. Characters are weak and lack depth with the exception of the two leads and even they lack in general. The original Evil Dead may not have had the deepest and most complex characters, but they worked better than the characters here. While not poorly written or anything, but there was potential for a lot more. As director Fede Alvarez fairs a bit better, but there was just something lacking. 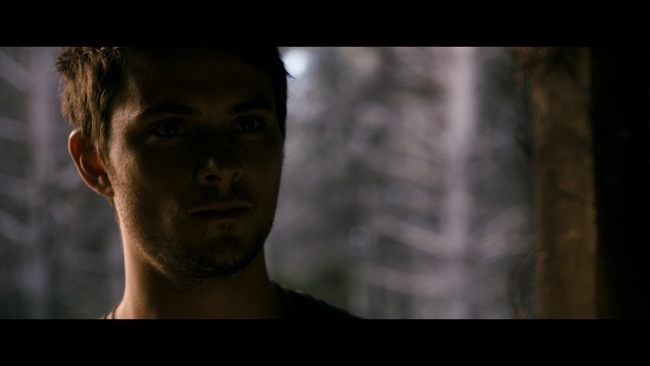 The setting is never as eerie and mysterious as the original and the demons aren’t nearly as imposing and at times the pacing can be sluggish as everything just feels too cliched. Alvarez does provide some decent suspense at times, but cannot maintain it. 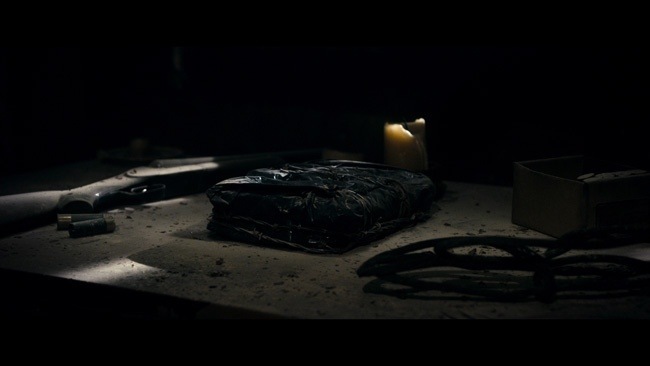 There is a decent amount of gore however and these scenes do help keep the Evil Dead interesting, but it also feels like a cheap gimmick to make up for the flaws. Fede Alvarez does deliver a well made film, but it really could have been so much more. Overall the Evil Dead is sort of middle of the road in terms if remakes; I can name several far worse, but can also name several far better. 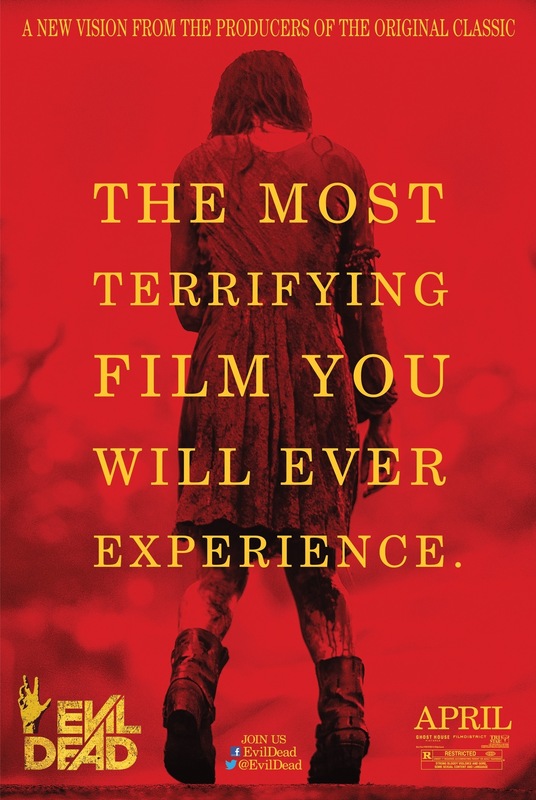 Really at the end of the day, Evil Dead does serve its purpose, but its a film I really wanted to love, but in the end there just wasn’t enough excitement. Make sure though you watch through the credits for a special appearance from Bruce Campbell.